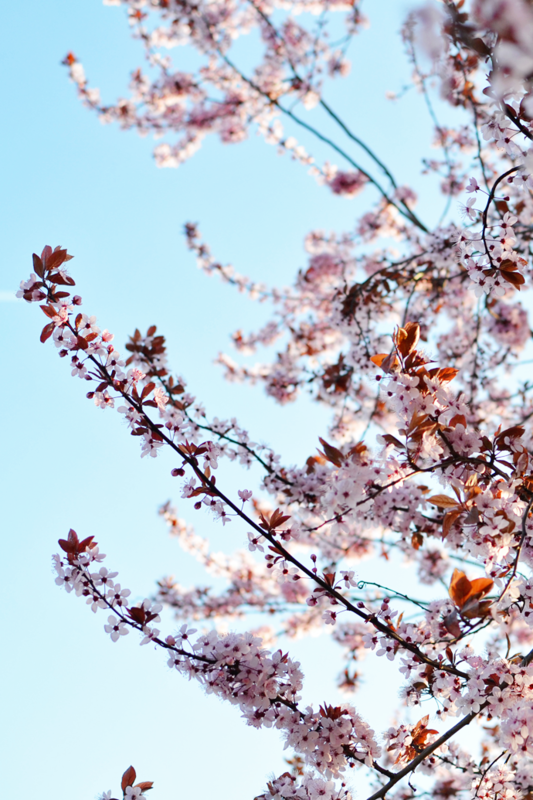 Oh, hey Spring! Welcome back, you rock stud. Spring is my second favorite season and guys, it’s in full swing here. Pink blossoms everywhere, my favorite magnolia tree is blooming, iced caramel latte’s are back on the menu’s, … . I’m loving it. The change of the seasons also brings a change to my wardrobe. Coats made room for blazers, wool scarves were put away and I stocked my winter boots in the basement and brought back my trusty summer-y sneakers. All that was missing were a few more light and colorful wearables to create some fresh new outfits with. I did my first round of Spring shopping last week and brought home two lovely pieces from Scapa to play with the next few months. 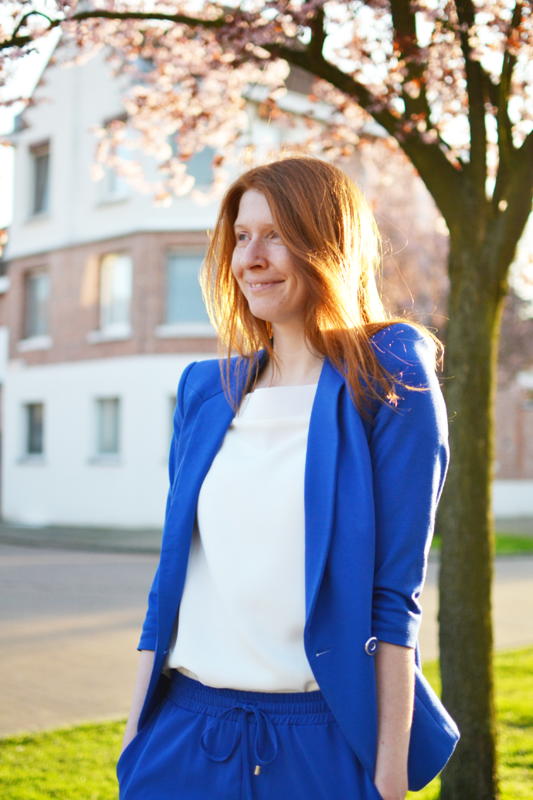 These cobalt blue trousers are the first to make it to the blog. When I first started sharing my outfits on the blog it was mainly because I wanted to bring more color into my everyday looks. This blog was the perfect medium to keep track of what I was wearing and if you scroll back to the years 2012-2014 you’ll see the amounts of mint, greens, bright yellow, deep reds, ocher and even orange accumulate throughout the outfit posts. Blog mission accomplished! And my favorite color of them all? Cobalt blue! I bought this blazer a few years back (when I was in uni) and wore it until everyone around me was sick of seeing me wear it. You know you’ve worn an item too many times when your classmates no longer refer to you as “the ginger” but “the girl with the blue jacket”. Last summer the blazer rarely got taken of its hook and tbh, I even forgot about it a little. It’s only with the homecoming of these cobalt blue trousers that I thought: what if I’d pair the two together? Admittedly, it’s a bit much and it took an half hour of twirling in front of the mirror before I was convinced that the colored suits trend is something I could pull off. This is a lot of color for someone who’s been wearing all black, greys and camel for the last year and a half! Buy hey, I’m going to roll with it and see how much I still like it after a few wears out in public. Nervous much? Yes. I think this is an awesome look on you! You are stunning in cobalt 🙂 I have a cobalt blazer I’m looking forward to using again soon, when the weather cools! The pants match your blazer so perfectly! I love that color on you.